Several colors can be simultaneously evaluated with wenglor's newOFP401P0189 Color Sensor despite minimal distance changes. The sensor works with white light and is above all distinguished by intuitive menu prompting and an integrated wizard for teaching in colors within 60 seconds. The sensor can be used wherever colors or contrasts need to be detected and distinguished. In addition to the integrated teach-in function,external teach in is also possible. The graphic display allows for easy, intuitive use with multilingual menu prompting (English, French, German and Italian). Additional password protection offers security against unauthorized access. The sensor's scope of functions is extended by its configurable emitted light which, for example, can be switched off entirely for the detection of self-luminous objects. The intensity of the emitted light can even be increased in order to detect dark objects. With a spot diameter of just 3 mm and aworking range of 30 to 40 mm, complex detection tasks can be implemented in a simple, uncomplicated fashion. 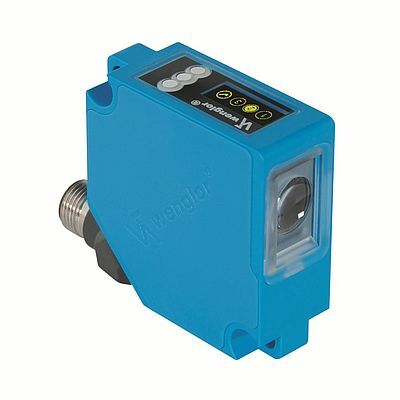 The color sensor is equipped with two digital inputs,three switching outputs and an RS232 port for reading out RGB, XYZ and HSL colorvalues.